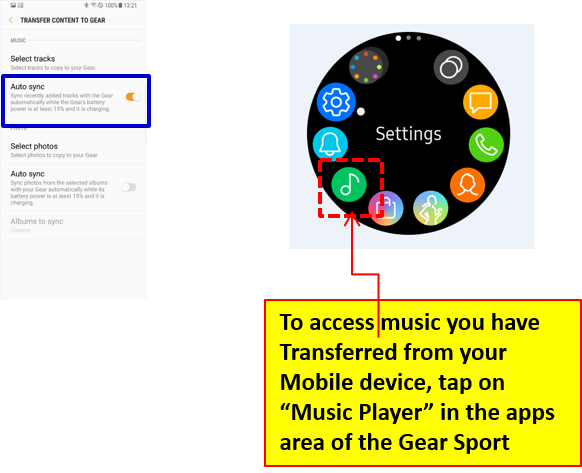 Gear Sport: How do I transfer music files from mobile device to Gear Sport? your favorites in order from oldest to newest. 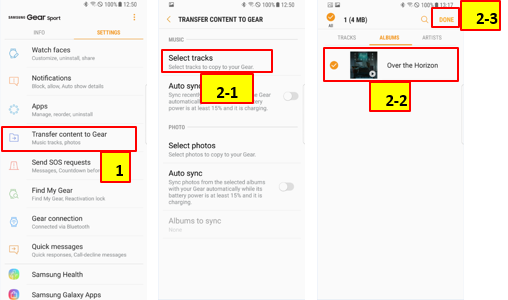 To sync the music in the mobile device with the Gear, tap the Auto sync switch. To sync music in your mobile device with your Gear, tap the Auto sync switch under Music. Gear Sport: How do I download more applications on the Gear Sport?